On the windswept plains of northwestern China, Mongol bandits swoop down upon an American missionary couple and steal their small child. The Reverend sets out in search of the boy and becomes lost in the rugged, corrupt countryside populated by opium dens, sly nomadic warlords and traveling circuses. This upright Midwestern minister develops a following among the Chinese peasants and is christened Ghost Man for what they perceive are his otherworldly powers. Grace, his young ingénue wife, pregnant with their second child, takes to her sick bed in the mission compound, where visions of her stolen child and lost husband begin to beckon to her from across the plains. 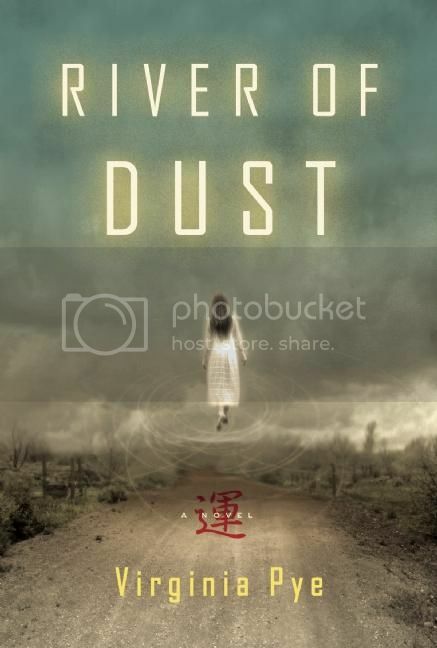 The foreign couple’s savvy and dedicated Chinese servants, Ahcho and Mai Lin, accompany and eventually lead them through dangerous territory to find one another again. 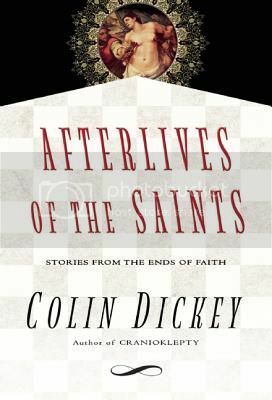 With their Christian beliefs sorely tested, their concept of fate expanded, and their physical health rapidly deteriorating, the Reverend and Grace may finally discover an understanding between them that is greater than the vast distance they have come. Virigina Pye’s story of a missionary couple in early-twentieth-century China is as fascinating as it is affecting. Their only child kidnapped by nomads, Grace and the reverend become increasingly less involved in the mission they were assigned to, both drawing into themselves—and, in the reverend’s case, roaming the countryside—to cope with their loss. Kate Kindred was content with her childless life, fulfilled by her job and her dog. Still, she was perfectly happy to help out her boyfriend, Jim, with the logistics of raising his children, particularly his two-year-old son Michael, of whom he had custody. As Kate’s relationship with Jim progressed, her relationship with Michael – and to a lesser extent, his half-sister Elizabeth who lived primarily with her mother – progressed as well. Kate, Jim, and Michael spent six years living together as an unofficial family, and over time Michael began referring to Kate as his mother, and Kate felt for him a mother’s love, even asking Jim if she could formally adopt him. Eventually, the thing that mattered most in the world for Kate was that Jim promised to never deny her access to Michael, no matter what happened between them. Until he changed his mind. An Accidental Mother is Kindred’s love letter to the boy who is her son, even if their kinship is neither biological nor legal. She leads the reader gradually through her relationship with Michael and Elizabeth, how they grew closer as they lived together and continued to capture each other’s hearts. The reader can tell just how genuine Kindred’s feelings of parenthood are, because every few chapters there is a collection of cute and memorable moments with the kids – the sort of things those without children complain about seeing too much on the Facebook walls of their friends who are parents. 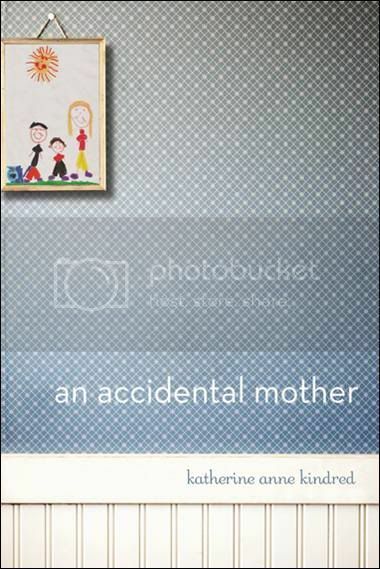 A very short book, An Accidental Mother is also an extremely compelling and heartbreaking book. In addition, it raises the question of what exactly makes someone a parent. If you live with a child for six years, care for him when he is sick, get up with him when he has a nightmare, help him with his homework – and all of these things out of love, not the obligation of a job – are you not his parent? In 1848, Spiritualism was born in upstate New York when the Fox sisters began to claim that they could communicate with the dead via a series of rappings. 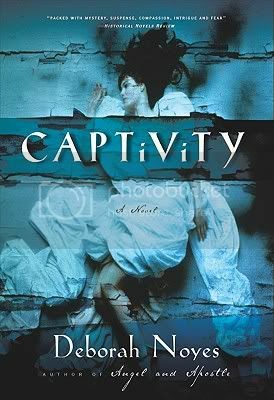 Deborah Noyes’s Captivity focuses on Maggie Fox and her feelings about the way spirit rappings change her family and her future. The parallel story is that of Clara Gill, a well-bred woman now living in New York state with her father, leaving behind a scandal in London. Clara is a skeptic and essentially a shut-in, but when Maggie joins her young relative Lizzie as a servant in the Gill household to bring in extra money for the family, the two women form a deep and surprising connection. Captivitiy is a beautifully-written book. Noyes’s prose is simply outstanding, every sentence reads almost as if it were poetry. It does take an initial adjustment to get used to the way the prose flows, but once this happens, the reader becomes immersed in the language of Captivity. Interestingly, as the book progresses it seems to focus more and more on Clara, and less and less on Maggie. By the end the Fox sisters are seen mostly through the impersonal lens of the investigations into whether or not they are charlatans, and through what Clara experiences of what is happening in their circle. Perhaps this choice was made to avoid dealing directly with whether the girls were faking their rappings. Although Maggie occasionally seems to despair of the overly show aspects of what she and her sisters are doing, it is never clearly stated that they are fakes or how they are producing their results, unlike in Paul Elworks’s book about a later dabbler in spirit rappings, The Girl Who Would Speak for the Dead. Captivity is a beautifully written book and an interesting peek into pre-Civil War American. The last book in a hugely popular children and young adult series, The Coffins of Little Hope, of the Miranda and Desiree series, is soon to be released, to the utter delight of young people everywhere. Essie Myles’s grandson, Doc, actually printed a great number of The Coffins of Little Hope in his printing press, expanded from his newspaper works. That seems like it should be enough excitement for a small town, to be part of a publishing process so secretive that people must be patted down when they leave work, to ensure they have not stolen any pages from the much-anticipated new book. But then a little girl named Lenore goes missing. Or, at least, that’s what the woman who claims to be her mother says. Daisy gave birth to Lenore at home and she’s never been to school, there is no record of her anywhere, and very little in the way of children’s belongings at Daisy’s house. However, the drifter Daisy claims kidnapped Lenore is real enough, he has been seen around town for years, but he isn’t around now. So is Lenore real? If so, was she kidnapped? Or is she all a product of Lenore’s imagination? These questions, plus the Miranda and Desiree connection, are the recipe for a huge media circus. The Coffins of Little Hope is an absolutely gorgeous books, I nearly ran out of my book darts marking passages. The characters are somewhat odd, and the storytelling is not at all linear, but The Coffins of Little Hope is still very accessible and extremely compelling. Highly recommended.